Florida teacher Jay Hoff built his LEGO Star Wars diorama for his school’s Science Discovery Day. 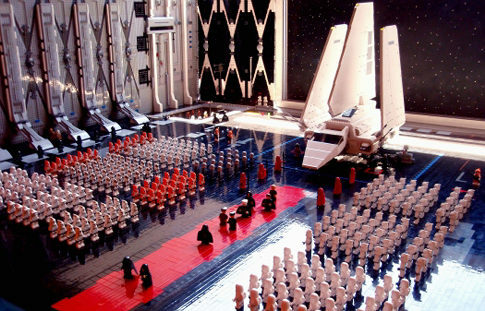 Over 30,000 pieces and 2300 bucks will get you a fully-staffed Death Star and high-profile guests such as Darth Vader and the Emperor. Check out the full story and more pictures at the New York Daily News.